Fuel cells are now on equal footing with wind, solar and biomass. New York’s Governor Andrew Cuomo has announced up to $160 million to grow large-scale clean energy across the state. 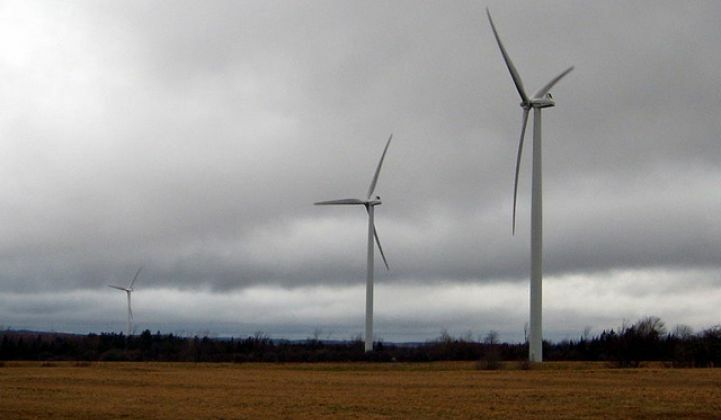 As part of New York’s renewable portfolio standard, the New York State Energy Research and Development Authority (NYSERDA) will procure energy from facilities that make electricity using wind, solar, fuel cells, biomass, renewable biogas or small hydropower. This is New York’s tenth solicitation as part of meeting its renewable portfolio standard (RPS) and the first time fuel cells can receive up to 20-year contracts, which the other technologies have already been eligible for in the past. Fuel cells were previously eligible for contracts of up to 10 years in duration. Currently, three fuel cell projects totaling approximately 1.3 megawatts have been chosen as part of New York’s RPS. “Fuel cell technology has come a long way and will be an important resource as we carefully move forward in modernizing New York's electricity grid,” State Senator Joseph Griffo (R-Rome), chair of the senate energy and telecommunications committee, said in a statement. “The Rochester area is an emerging leader in fuel cell and renewable energy development, with RIT's Golisano Institute for Sustainability leading the way,” State Senator Rich Funke (R-Rochester) added in a statement. “This is a good first step as we continue our work to offer a stronger package of incentives to spur fuel cell development in our community and across the state." The funding for public-private partnerships is also driven by the state’s Reforming the Energy Vision initiative, which calls for a cleaner, more distributed energy system. While the continued investment in large-scale renewables may seem somewhat at odds with the distributed system that New York expects under REV, Richard Kauffman, the state’s chairman of energy policy and finance, acknowledged that renewables of all sizes are needed. “While we envision a more localized power grid in the future, it is imperative we ensure our large-scale generation sources are as clean as possible,” Kauffman said in a statement. “With certainty and transparency, New York state is establishing itself as an attractive environment for private developers to invest and create new jobs in the state's growing clean economy." New York is somewhat unique in that it has a centralized model for meeting its RPS. NYSERDA is the administrator, providing a production incentive to the generators that are chosen through the competitive bid process. Not including this most recent solicitation, New York has spent approximately $1.9 billion since 2005 to meet its renewable portfolio standard. The previous solicitations have delivered more than 2,000 megawatts of renewable capacity, most of which is wind power. New York estimates more than $3 billion in direct investment in the state as the result of the existing utility-scale projects. Solicitations for this round are due by May 8. Another round is expected in 2016.